I am the office manager here at Cherry Hill Dental. What I love most about my job would be all of the positive interaction with our awesome patients! Living in a college town, we not only enjoy a strong base of patients, but also a flux of new people from all over the country. Everyone I meet has an interesting story to tell. I am also fortunate to be a part of an amazing group of people who strive to provide the best level of care for our patients. My husband of more than a dozen years, William, and I have three wonderful children: Billy, Alexa, and Sasha. Since I’m a California girl, there is never a dull moment in the Ramm household! We enjoy the parks, trails, and outdoor activities here in Missouri, and just spending time together. I have been a dental hygienist at Cherry Hill Dental since November 2014. 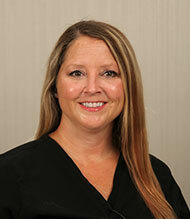 I have been a licensed dental hygienist since 1993: I graduated from Forest Park in St. Louis. I have been married to my wonderful husband for 25 years and we have two great kids. I love dentistry because I enjoy seeing the patients’ quality of life improve through their oral health. A toothache is a terrible thing to experience, so I’m focused on prevention of oral diseases and being proactive in dental care. In my spare time, I volunteer at our local church in St. Martin, and spend time with my family. I have a variety of responsibilities here at Cherry Hill Dental along with being a Dental Hygienist I am also the Clinical Administrator. I work closely with Dr. Tony in the management of our Invisalign Patients and ensuring patients leave with a perfect smile. 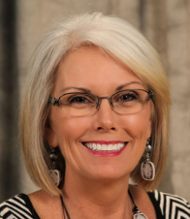 I also work closely with Dr. Mary in our sleep medicine practice. With our sleep medicine I help the patient determine which appliance is best for them and help adjust the appliance until they have achieved the best sleep possible. As a hygienist I work with patients in the treatment and prevention of gum disease through preventive cleanings and oral health education. You may also see me floating around and assisting with restorative procedures to get patients numb or be a second set of hands when needed. I earned my Associate of Science in dental hygiene and a Bachelor of Science in nutrition and exercise physiology, so whole-body wellness plays a big role in my dental and sleep philosophy. One of the best things about our office is interacting with so many interesting people, and working with a team that is so fun and easy going. I am married to my wife Deborah and have one son named Fynnick. In my free time, I enjoy weight training, playing disc golf, being outdoors, and family time. My first thought of entry into the field of dentistry was at age eight. Dentistry is where I was born to be. My only regret is not going further with my education and becoming a dentist. I believe a great smile says so much about a person and I love being a part of creating that piece of joy for someone. Patient advocacy has been a passion and a challenge that has always lined up with my overall enjoyment of people. Building personal relationships, working through treatment concerns and patient fears has inspired my desire to grow in all areas of dentistry as much as I can. Becoming a part of Cherry Hill Dental has added to furthering my education and expansion of dental knowledge. Our patients are top-notch, our training is continuous and I am grateful for the learning opportunities to come. All of this just adds to a life that is fulfilled with family, friends, gardening, living a healthy lifestyle and all things outdoors! Hello! 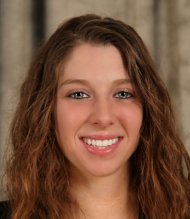 I am Marissa, the Office Coordinator in our Jefferson City and Fulton offices. I am here for all of your clerical needs! I do everything ranging from checking patients in for their appointments, to writing estimates and everything in between! I absolutely love seeing the joy that we give our patients by helping them achieve their smile goal. Our doctors treat all of our patients as if they were their own family and I couldn’t ask for anybody better to represent. In my spare time I enjoy spending quality time with my husband and daughter. We love being outdoors, traveling, and trying new things! 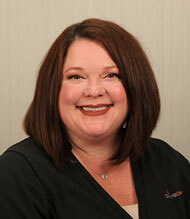 I am our billing specialist here at Cherry Hill Dental. My daily duties at the office include payroll, daily deposits, collections, and answering patients’ questions involving their bills. While I mostly interact with patients on the telephone, I always make sure to be friendly, compassionate, and patient. My favorite part of my job is helping people resolve their issues. I also enjoy working with the doctors and staff at Cherry Hill because they always make the patients their number-one priority and they’re very good at putting beautiful smiles on people’s faces. Outside of the office, I have the best family a person could ask for. I live in Moberly with my husband Rodney. I have a son named Chris who is a chiropractor in Littleton, Colorado, and lives there with his wife Brett, and son Koen. I also have a daughter named Whitney who lives in Olathe, Kansas with her husband, Adam, and their son, Layton. I enjoy working with people, gardening, and most importantly spoiling my grandchildren! I am very active with Family Life Fellowship church in my free time, and I am very strong with my faith in God. My name is Becky. I am in the billing and insurance department at Cherry Hill Dental. Before you come in for your appointment, I contact your insurance company to see what your coverage levels are and to make sure you are still actively covered. After your appointments have been processed through insurance, if there is a balance left over, I will contact you. If you ever receive something from us or from your insurance company, please feel free to contact me and I will gladly help you. I’ve lived in Columbia for most of my life. I joined the Army in March 2000 and stayed for 15 years during which I became very accomplished: I deployed oversees three times. I moved back to Columbia in early 2015 to take a well-deserved sit on the couch for a summer. I got a job stocking shelves at Wal-Mart for a while, then my brother Dr. Tony Gadbois asked me to come aboard the Cherry Hill Dental train, and here I am! I wear a lot of different hats here at CHD; my job title is a Sterilization Technician, but I also handle the inventory and supply along with maintaining all of our equipment. I perform and participate in decontamination, cleaning, assembling, packaging, scanning, sterilization, storage, and distribution of reusable surgical instrumentation and equipment. Getting to work with my brother, his wife, and the staff I have come to know as family is one of the better experiences in a work atmosphere that I’ve had in a long time. At home, I have a wife, three children, and three pets. I joined the Cherry Hill Dental family in June 2014. I am the Sterilization and Lab Tech for the Jefferson City and Fulton office. Some of my duties include making sure every instrument is properly cleaned and sterilized for a safe and bacteria free visit for every patient. I also maintain all of the equipment and operatories to make sure they are working correctly and fix any issues. Crowns, bleach trays, and essix are another one of my specialties along with handling the inventory and supplies for the office and making sure everything is stocked. Outside of the office, I enjoy spending time with my family and 2 dogs. I also enjoy outdoor activities. I am a Lab Tech here at Cherry Hill Dental. When you come in for a crown, I am the one who processes the fabrication of all your crowns. 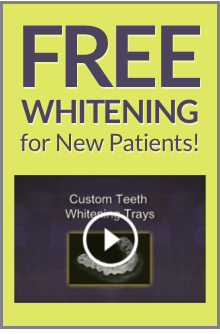 I also make all Whitening trays and Essix Retainers. When I am not in the Lab, you can find me helping out in sterilization. Cherry Hill Dental has been the perfect place to work. The Doctors and Staff strive for the best for all their patients and it shows in their work. I am proud to be part of the Cherry Hill Team and can't wait to continue to grow in the dental field. Outside of work, I spend most of my time with my fiancé, family, friends and my two Great Pyrenees Lola and Casey. I also do Photography on the side and love to photograph weddings. I get to work with Dr. Tony on a daily basis using my Missouri extended schooling, and supervise the back office at the end of day, which includes sending out lab cases and whatever additional odds and ends that need to be done. 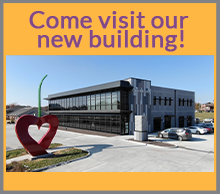 Getting to meet new people every day, along with the opportunity to help them understand and become more acquainted with our process, is what makes Cherry Hill Dental such a fast-paced and rewarding practice to work at. Working alongside the best doctors and most insightful assistants I’ve known in my many years as an assistant affords great learning experiences on a daily basis. This translates into the highest level of customer care around. Aside from my family at Cherry Hill Dental, I have a loving husband Ryan, a Boxer named Abby, and a Bengal cat, Kazha. I have a large family back in my home state of Wisconsin, and I love to visit them whenever possible. When I’m not helping people improve their smile and confidence, I enjoy cooking, motorcycle riding, jet skiing, and any outdoor activities that let me soak up as much sun as possible. 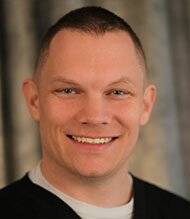 I have been at Cherry Hill Dental since 2008. I am a hygiene assistant with some restorative experience, so depending on the day, you may see me assisting on either side. On a good day you’re very likely to see me singing and/or dancing through the halls as well! I have a pretty energetic personality that’s kind of hard to keep to myself. I love working at CHD because it allows me to interact with different people from all walks of life on a daily basis. I feel that knowledge is power, so I try to educate each patient throughout their appointment. My goal is to treat each patient as is they were my family member. I am from Fayetteville, Arkansas, and my family and I have been in Columbia since 2007. I am married with four wonderful children. I enjoy watching football and basketball and like to play softball during my free time. I have a twin sister, but technically I am the baby of ten kids! I've been a hygiene assistant with Cherry Hill Dental for three years and I truly enjoy it! The best part of my job is building a lasting relationship with my patients and watching their smiles transform! When I'm not working I enjoy being outside and spending time with my fiancé, family and friends! 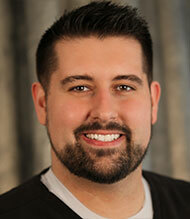 I started with Cherry Hill Dental as a patient in 2011 and became a part of the Cherry Hill family in May 2013. I enjoy getting to help people feel more confident about their smiles and improve their overall health. It is rewarding to see the transformation in patients’ oral health and to help them understand the importance of taking care of their teeth. I enjoy learning about the new dental technology and the advances our office provides with Invisalign. I love spending time with my daughter, family, and friends, and enjoy traveling to new places. My job includes sitting chairside throughout patients’ cleaning appointments and exams, and making sure that all patients are comfortable and satisfied throughout their appointments. The best part about my job is meeting new people and helping them create a plan to complete the smile they have always wanted. Seeing patients walk out with a confident smile is what makes me smile! I love working with the doctors and the rest of my team because they make work feel like a second home. I love my Cherry Hill Dental family! Outside of Cherry Hill Dental, I enjoy spending time with my family and friends. I also have a wonderful fur baby named Milo! I enjoy watching movies, going to the gym, and exploring the outdoors! My job at Cherry Hill Dental consists of sitting chair side for restorative appointments. You'll see me when you come in for fillings, crowns, root canals and implants. I love helping people to transform their smile; it's one of the best parts of working here! Cherry Hill Dental has been a perfect fit for me ever since I started, all because of how great and friendly everyone here is, from the doctors, hygienists and all the assistants I get to work with, everyone always does their best to make everyone feel welcome and at home here. When I'm not working, I enjoy being outside and hiking, spending time with my friends and family. I also enjoy traveling and driving back to my home state to visit my family. I have wanted to work in a Dental office for as long as I can remember. Ever since I started at Cherry Hill Dental immediately knew I picked a good career field. My job consists of sitting chair-side throughout our patients' exams for their cleanings with our wonderful Hygienist and awesome Doctors. The thing I love most about assisting is being able to meet new people daily and watching what a difference we can make for our patients'. This place feels like home! 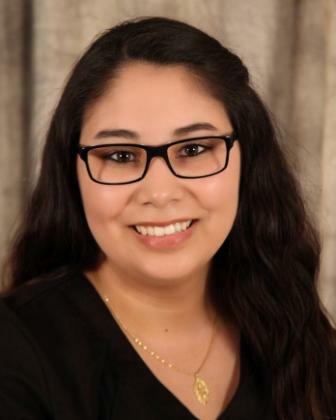 I’m a hygiene dental assistant here at Cherry Hill and my job consists of working closely with the Hygienists and Doctors to ensure the patients get the treatment they need and want. I think a smile is the first thing people notice about someone and being able to help someone obtain the perfect smile is very rewarding to me. I love working close to people on a day to day basis, meeting new people, and hearing their stories about wanting to enhance their smile. The Doctors are amazing at what they do and that is why I love working here and making sure the patients leave with a smile. In my free time I like to stay active by going to the gym, running the trails, and taking my chocolate lab mix named Diamond to the dog park. I also enjoy exploring new cities with my friends and traveling as much as possible. I am a dental assistant here at Cherry Hill Dental! I attended the dental assisting class through Cherry Hill Dental, and was hired upon completion of the course. My first day working I knew this was a job that I would really enjoy. I love developing relationships with all the wonderful patients that walk through our doors. I find my job highly rewarding and am always learning something every day I’m here. My job consists of assisting the doctors and hygienists through procedures, and ensuring patient satisfaction upon completion. I love working at Cherry Hill Dental because of the dedication to excellent dentistry that everyone employed here displays. Outside of work I enjoy spending time with friends and family. I love exploring the outdoors and curling up with a good book. 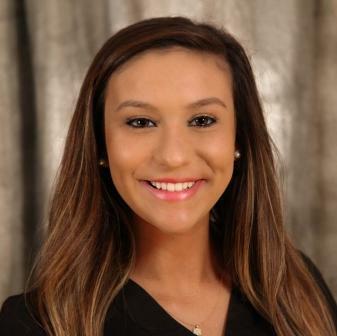 I am excited to see where my journey in dentistry takes me and I hope to see you at your next appointment!